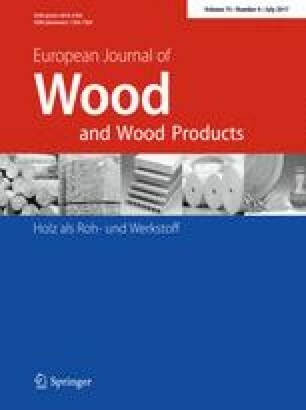 The market study presented in this paper originated as “Das Marktpotenzial für Holz-Beton-Verbundkonstruktionen im Bauwesen” within the framework of timber building Augsburg. Funding was provided by the Central Innovation Programme for SMEs (ZIM). My special thanks to Lydia Kurstedt from Regio Augsburg Wirtschaft GmbH, to the members of the framework Karl Moser, Frank Lattke and Alexander Gumpp and to all of the interview partners who have contributed to the understanding of the TCC market.